Child Support | Suffolk County Law Firm | Phillip J. Jusino & Associates, P.C. Do you have questions regarding child support calculations? Are you worried that your children will not receive all to which they are entitled from your ex-partner? Has a job change negatively affected your ability to pay child support? Is an ex-spouse failing to make spousal maintenance payments? If you answer yes to any of these or similar questions, seek the help of an experienced and compassionate Suffolk County lawyer. At Phillip J. Jusino & Associates, P.C., we understand how confusing support guidelines and calculations can be. 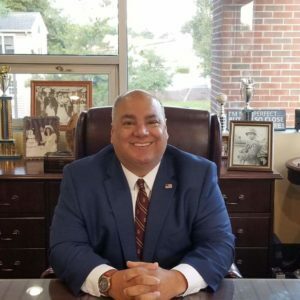 For nearly 30 years, Mr. Jusino has been assisting Suffolk County individuals with divorces and fighting for the rights of their children. If you are splitting up with your child’s parent, you may be entitled to child support payments. Not only may a Family Court Judge order payments as part of your divorce decree, you may be entitled to support payments throughout the divorce process — referred to as pendente lite relief. Are You Entitled to Spousal Maintenance or Alimony? Seeking spousal maintenance — also known as alimony — during your divorce can be more complicated than pursuing child support. Factors such as the length of your marriage, the financial positions and health of both spouses, and the age of your children must be considered before a determination is made. Call us at 631-588-3155 today or contact us online to schedule your free initial consultation. We also handle support modifications — either up or down — and provide aggressive assistance when a support order is violated.